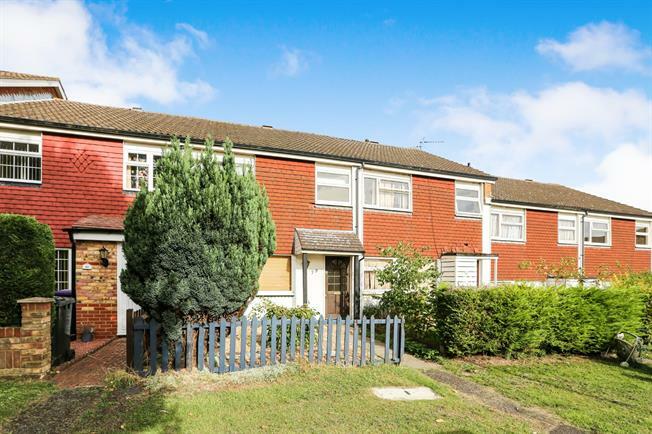 3 Bedroom Terraced House For Sale in Letchworth Garden City for Offers Over £250,000. A spacious three bedroom family home located on Maddles in Letchworth Garden City. Letchworth is well located for access into London via the A1(m) and Letchworth train station. Maddles is in close proximity to local schooling, local shops, Baldock and the A1(m). The property comprises, Entrance hallway with storage cupboard, lounge with window to front aspect, dining area which is open plan to the kitchen, downstairs WC, storage area and door leading to the rear garden. The first floor comprises of three well proportioned bedrooms, airing cupboard, storage cupboard and family bathroom. The property further benefits from a rear garden mainly laid to lawn and a Garage en-bloc.